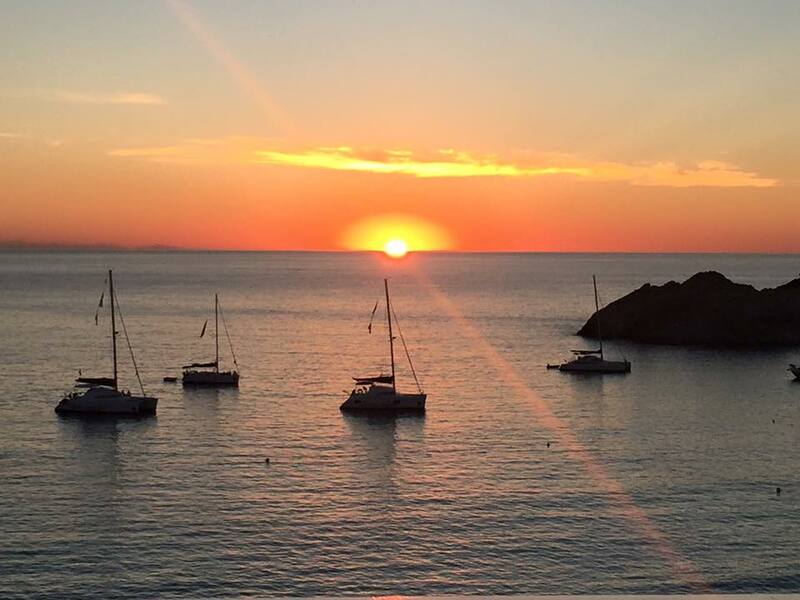 Home Latest blog posts Archive by Category "Latest blog post"
The best chic sunset experience the east side of Ibiza has to offer. Located on the Cap des Falco pebble stone beach next to the Salinas national park you have an amazing sea view and stunning light across the sky as the sun goes down just behind the cliffs. Expect chill Ibiza music, delicious cocktails, great food and a mix of locals and summer visitors. 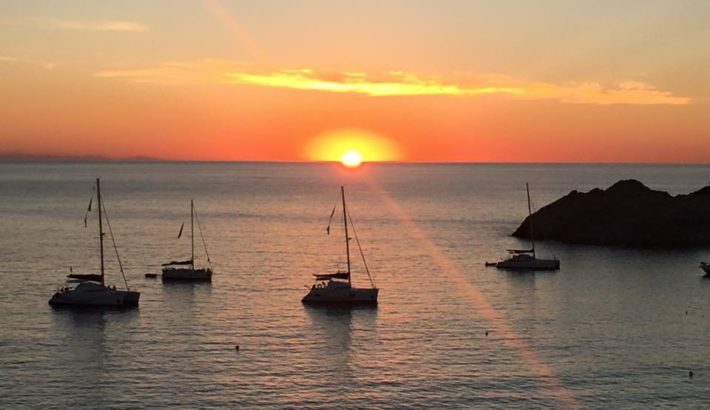 Named the most environmentally sensitive and sustainable beach bar in Ibiza, this little gem provides the most authentic non-fancy setting to watch the sun set at Cala Comte. Have a drink at the bar, sit on the rocks or go swimming as the sun sets. The name Cala Escondida means “hidden beach”, even though it is quite hidden it is not difficult to find if you know where to look. Arriving at Cala Comte look for the stairs to the left (opposite side of Ashram). This small hideaway just 3 km outside San Antonio has a bohemian vibe, and offers a more relaxed sunset session than the infamous sunset strip. 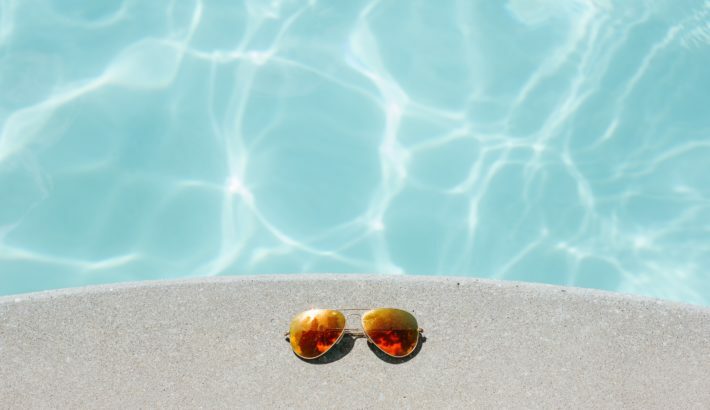 Expect a “Tropicana club” vibe, but accompanied by Balearic sunset beats. The sun goes down as you have a cocktail at the bar or enjoy local cuisine from the restaurant deck or the table for two on the rocks. Overlooking the amazing Cala Tarida beach at sunset whilst enjoying the exquisite Cotton cuisine is a real treat. The grand terrace restaurant offers a Mediterranean fusion a la carte dinner and a carefully selected wine list. The high quality of the cuisine, the attention to details throughout the venue, and the friendly staff have made this spot a favorite amongst connoisseurs. Please keep in mind sunset times and sunset locations throughout the season for your best experience. The finger food size tasty Pintxos got their name from the way they were traditionally served; a piece of food on top of a slice of bread pierced with a cocktail stick. The pintxos are served as bar snacks together with your glass of wine or beer, or you can eat them as full meal. Nowadays you don´t necessarily only see pintxos served on a slice of bread, the cuisine is ever evolving and you can find many new and exciting pintxos flavors. El Zaguan in Ibiza town has the authentic atmosphere and the best pintxos in Ibiza. Prepare to queue a little bit for a table, or enjoy your pintxos from a seat at the bar, either way we promise it is worth it! Access to fresh fish is one of Ibiza’s luxuries. Try the Sirvia (Grouper) , Dorada (Gilt-head Bream), or Lubina (Seabass). For the absolute freshest fish there is head straight to “Merkat Nou” in Ibiza town, which is the old fish market. For non-fancy right on the sea traditional chiringuito experience try the Fish Shack at Sa Punta in Talamanca. For the luxurious experience try El Chringuito, Cotton Beach Club or Cotton Lounge. Even though this is not particularly a traditional Ibicenc dish, it is considered the national dish of Spain (at least from a visitor’s perspective). You can find Paella on the menu at every other restaurant, but in your search for the best ones we are happy to help. There are also a variety of different recipes for Paella, but we would highly recommend that you go for the seafood paella. Some of the best ones can be found at Yemanja in Cala Jondal and La Escolera at Es Cavallet. 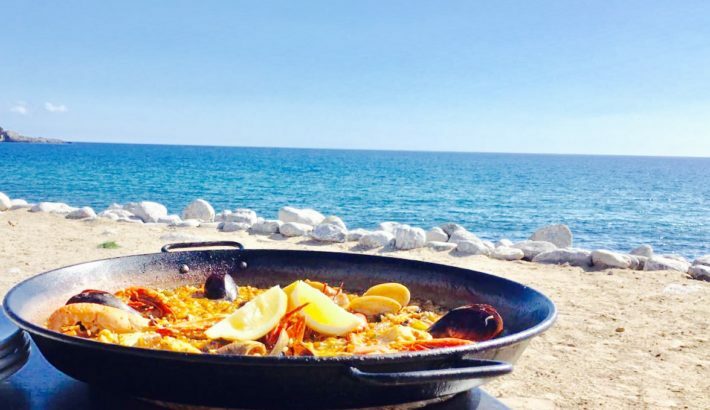 For the ultimate feet-in-sand lunch Paella have a break in Formentera during your boat trip, the famous Playa Illetes host several excellent choices: Juan Y Andrea, Beso Beach and El Moli de Sal. Get to Formentera with one of Cotton Boats yachts. The fish stew Bullit de Peix is an ancient old tradition of Ibiza and Formentera cuisine. The recipe varies depending on the chef, but typically is made of fish, vegetable, rice, potatoes, white wine and saffron. Trust us when we say that this is worth the experience, you have never tasted anything like it. For the best experience, combining food, view and atmosphere, try to make a reservation at El Bigote in Cala Mastella. Yes we said “try” as this place is so popular it is rumored to have to turn down the King of Spain as it was completely full (as always). They only have two seatings, one at 12PM when they only serve the fresh fish of the day, and one at 2 PM when they serve the Bullit de Peix. Bring a big appetite. The beauty of tapas is that even though there are the traditional plates you tried that time in Madrid or Malaga, there are slight variations in every region of Spain. So even though you have had tapas before you are still in for a treat eating tapas in Ibiza. Some of our favorites are La Taberna on Plaza del Parque, and Sa Brisa that serves untraditional gourmet tapas on Vara de Rey. See and be seen? Your little hide away spot? The best nature has to offer? We’ve got you covered, let us make your day at sea the best memory of your holiday. Awaken your spiritual side around the famous “Es Vedra”, the little island that is said to be magnetic and inhabit special powers. Whether you believe this or not, this area offers majestic views and if you´re lucky you might see Dolphins in this area. Stop for a dip in the sea in the natural pools of nearby “Atlantis” and come lunch time you might want to head in to Cala D´Hort beach. When it´s time for lunch you may choose from luxury dining with your feet in the sand at restaurant Juan Y Andrea, or enjoy a more relaxed atmosphere at Beso Beach restaurant. Want to enjoy Formentera with a little more privacy? The calas of Es Calò have the same clear water, and amazing seafood in a relaxing atmosphere at Restaurant Es Calò. Straight across on the other side of the island you´ll see the long Playa Migjorn that is not nearly as secluded but spacious enough to not be crowded. This is an amazing sandy beach with many chiringuitos and “kioskos” (small beach bars). Ever wished you had a friend in Ibiza that would take you to all the great “secret” places in Ibiza? Look no further, we are happy to share our secrets with you. Ibiza is famous for its beautiful beaches and hidden “Calas”. Want to find one of those secret beaches away from the crowds? Even though the so called secret beaches are not so secret anymore, you can still find some hidden gems on the north side of Ibiza. Cala Xuclar and Cala d`en Serra are two of our favorite spots, in both places you will find a small traditional chiringuito that is open for lunch during the summer months. Want to eat like a local? Cas Pagès is a typical Ibicencan family owned restaurant that have been serving grilled meat for over forty years. The menu is simple and consist of meat and sides, but this might be the best steak on the island. This is a non-fancy, no reservation and no credit card accepted kind of a place. Prefer seafood instead? Try the grilled sardines at Hostal Talamanca, fresh fish at the seasonal chiringuito at Sa Punta (also known as “the fish shack”), or one of the many seafood dishes at Sa Caleta restaurant. This restaurant is located just above the beautiful Es Bol Nou beach and is very popular amongst locals and tourists alike, open for lunch and dinner (booking is required). The list of great bars around the island is long. But here are a few that we find quite unique. Tira Palla – the hidden rooftop bar in Ibiza town. 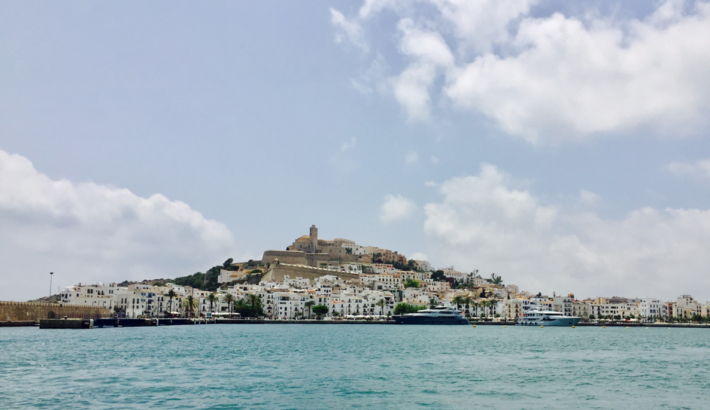 Find Mona Lisa and Soap bar, then you find the stairs that lead you up to this quaint little rooftop bar with a beautiful view towards Dalt Vila. Friendly staff, great mojitos and pop music. Bar Baboon – all cocktail lovers should find their way to Bar Baboon in Figueretes. This stylish bar is located in the same building as the equally stylish Cotton Lounge Club. We promise you that this is an impressive experience. BAR 1805 – ever had a bird cage drink? Didn´t think so. The owner of Bar 1805 is a renowned bartender that serve classic cocktails with a twist, and the famous Absinthe punch appropriately named “Green beast”. A couple of blocks behind the harbor in Ibiza town you will find Calle Virgen. Expect to meet eccentric people, drink the best Mojitos, and watch the start of the evening club parades – basically a free show! Ibiza being the dance music capital of the world this is a given. But in addition to all the famous DJ events on the island, you can also find intimate Sofar music events, live music nights at Teatro Pereira, Flower Power nights at Pacha with music from the 60s, 70s and 80s, or go see a show at Heart or Lio. 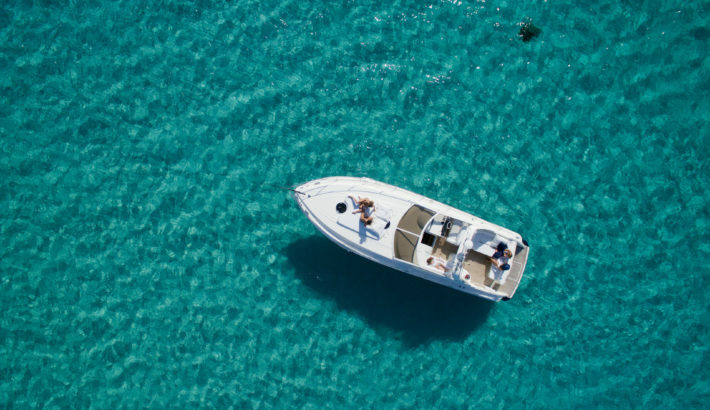 Paradise is just across the pond, with your own boat you will be diving into the crystal clear waters of Formentera in no time. The crew will take care of all your needs, from champagne on ice to jet skis and lunch reservations. Ask anyone and they will tell you that this will be the most amazing day of your vacation. Try the typical fish stew Bullit de Peix or a Paella for lunch, some Pintxos for late dinner or evening snack, and don´t forget the local herb liquor Hierbas. Ibiza has a few local vineyards, and an increasing amount of wine bars and wine shops. You will of course find everything from French champagne to local rosè, and always a generous selection of wine by the glass. Can Rich, Vino &Co, Villa Vins, and Naked Wine Bar just to name a few options. The event which fully kicks-off the boat season in Formentera takes place on Friday the 5th of May this year. Make sure to book a table and a boat in time. It will be fun as always! Start your journey from Ibiza! With the successful launch of the new Yacht booking portal Cotton Boats www.cottonboats.com in 2017 we can offer more choices and a wider ranges of boats. Cotton Boats is an easy way of planning your Yacht bookings, reservations and dream voyages in the Mediterranean Sea launching your trip from Ibiza.